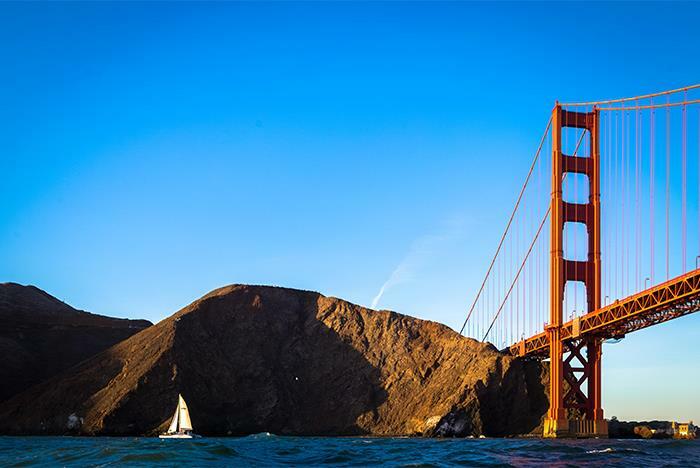 Looking for unparalleled views of San Francisco? 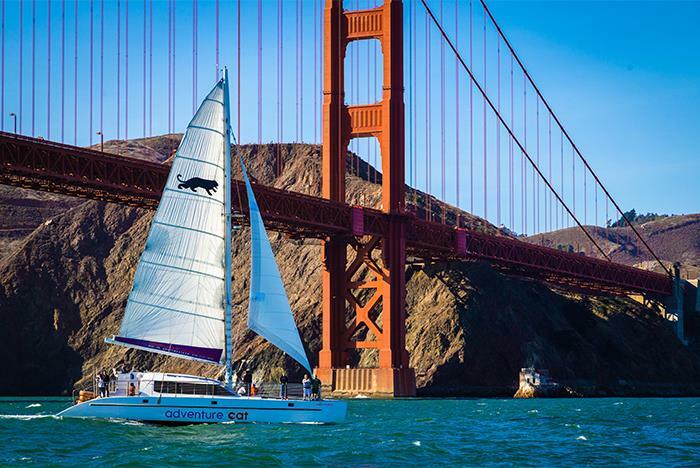 Hop on a catamaran! 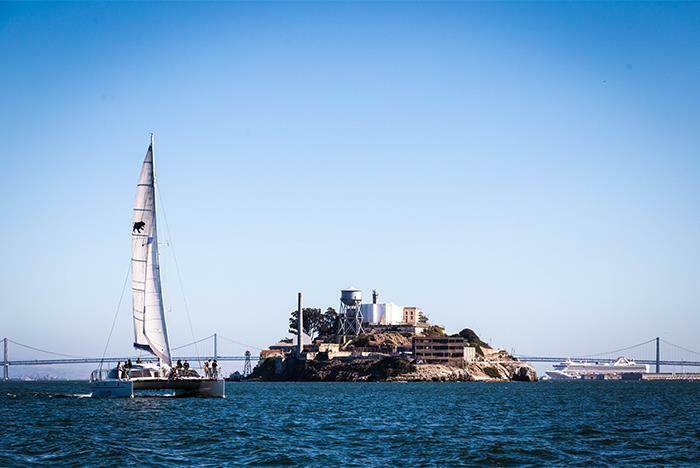 Sail into the San Francisco Bay where you’ll take in beautiful views of Alcatraz Island, the San Francisco city skyline, the Golden Gate Bridge, scenic beaches, and more. 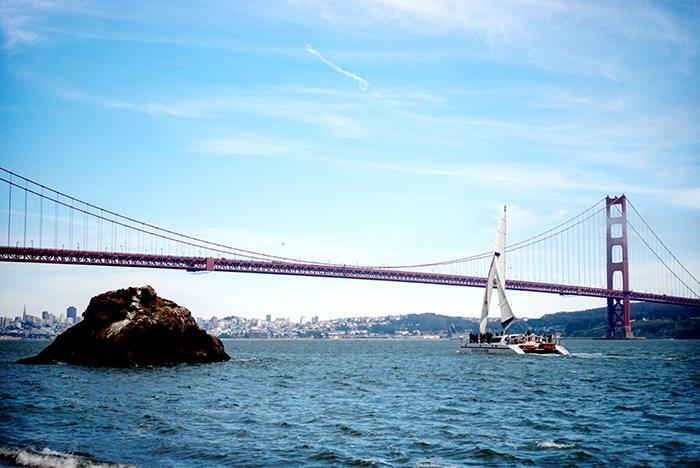 Along the way, keep an eye out for sea lions, dolphins, and even a whale or two! 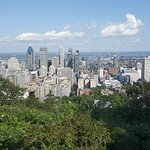 Bring a light jacket and soft-soled shoes for your excursion. 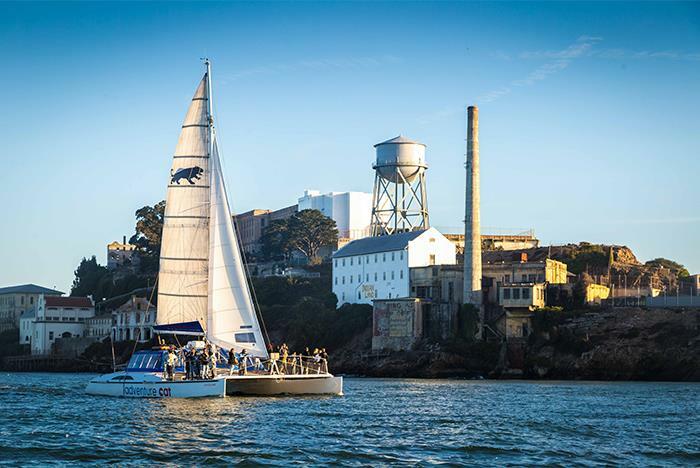 Arrive 30 minutes prior to scheduled sail. Located at Pier 39, Gate J, next to the sea lions. Tour duration: approximately 90 minutes long. A bar and snacks are available for purchase on board. 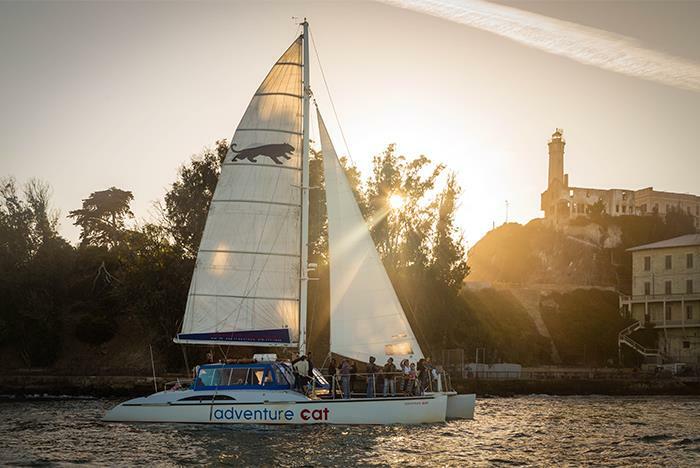 Whether you’re looking for something the whole family can enjoy or a romantic evening out for two, your sail on Adventure Cat is sure to be a memorable highlight. 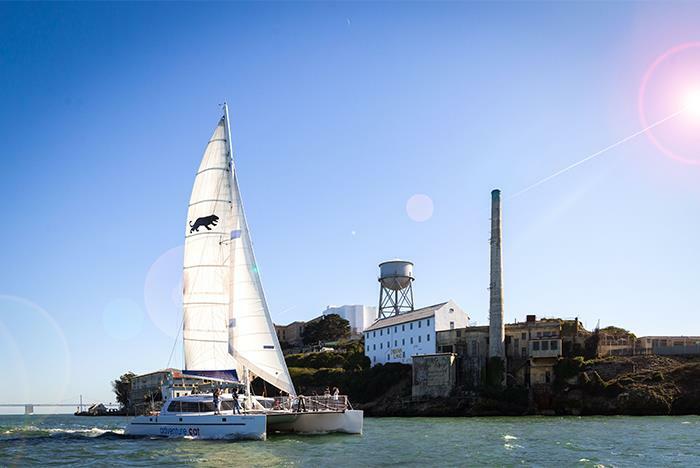 See some of the Bay’s most popular attractions up close and personal as we sail around Alcatraz Island, directly underneath the Golden Gate Bridge and head back admiring the city’s famed skyline – it’s quite a sight! 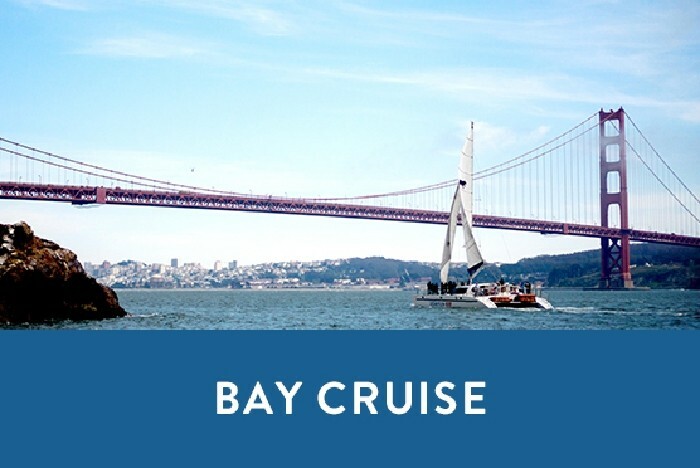 Catch a glimpse of marine wildlife including pelicans, sea lions, dolphins, and even the occasional whale. 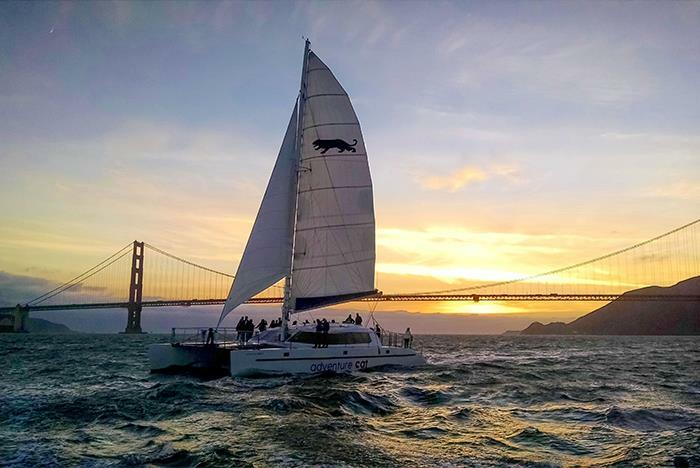 Our sailing excursions are consistently rated among the top five things to do in San Francisco, and our thousands of happy guests can testify. 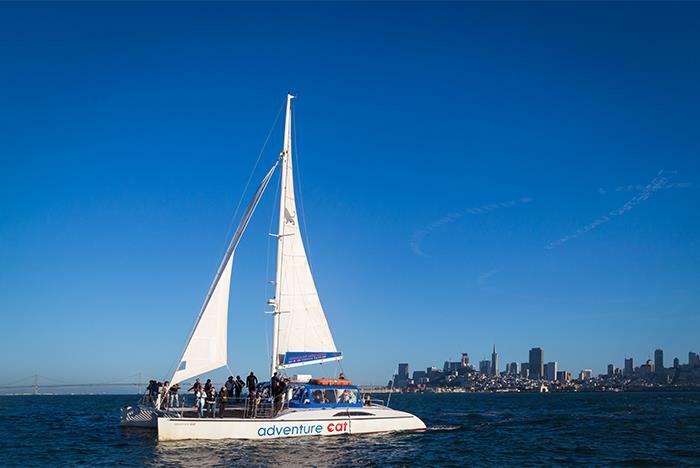 Have you been to Adventure Cat Sailing Adventures? Share your knowledge and be the first to review this. What can I say? Just WOW!! This was an experience not to be forgotten. Easy to book. Easy to find. AMAZING CREW!! Captan Hans and First Mate Mike went beyond to make this a memorable adventure for our family. 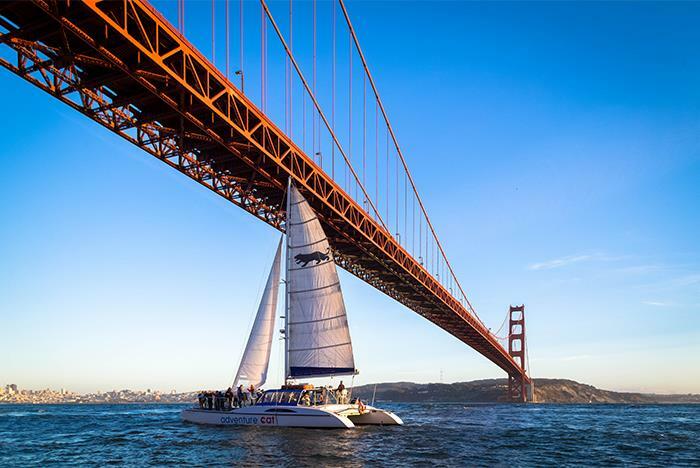 We’ve taken other Bay cruises, but nothing has topped sailing the winds on the Bay under the Golden Gate Bridge!! Thank you to the amazing crew of Adventure Cat!! 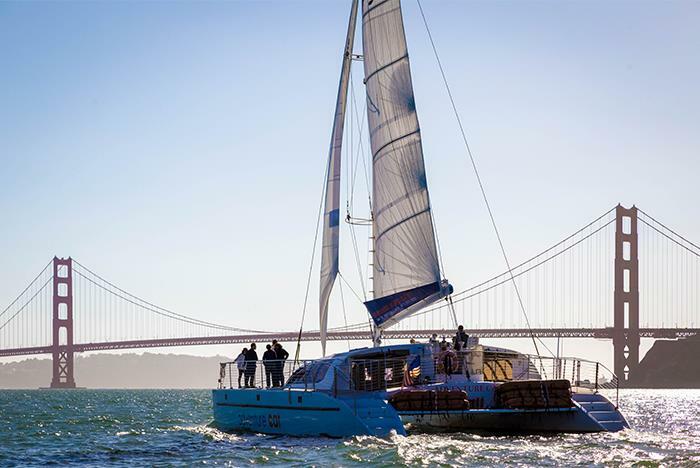 "The BEST way to see the BAY!" I love this tour! It's my second trip and it's the nicest boat tour. 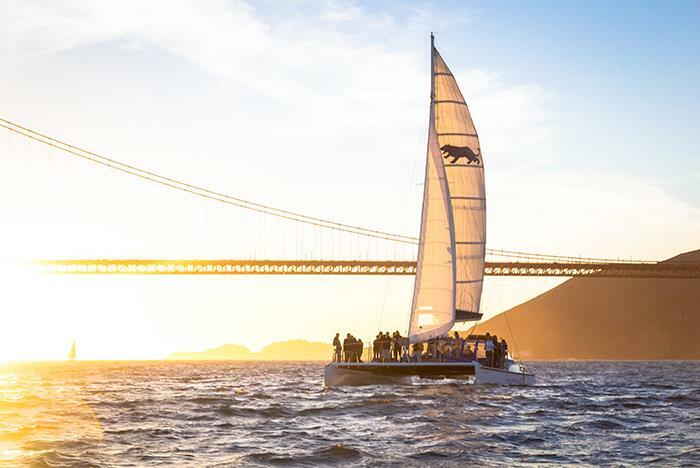 No boat noise, no pushy "guides", no awful diesel engines, just a quiet, lovely sail across the Bay and under the Golden Gate bridge with beautiful panoramic views of the city. I highly recommend! 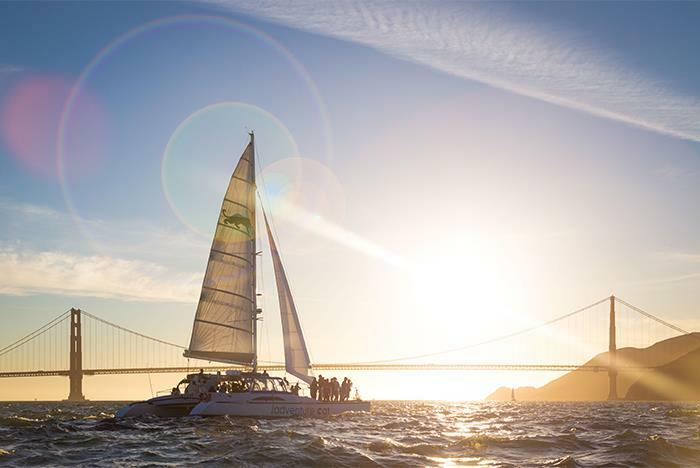 Easy going crew with wonderful sense of humor- helpful, friendly in a genuine way. 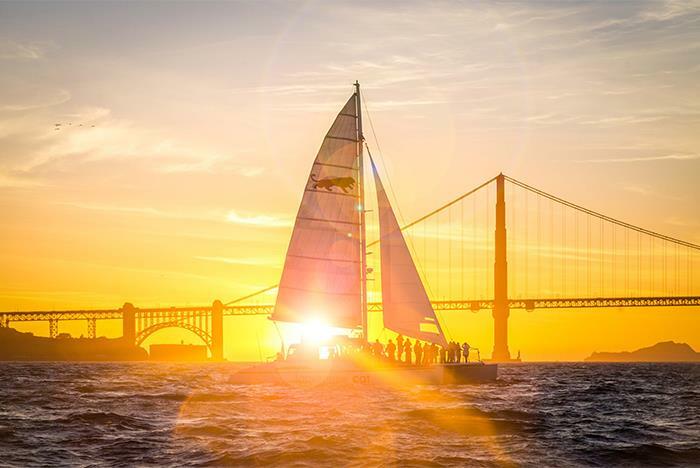 Sail was smooth, views were the best of any I’ve had on a Bay tour (done 2 others with family and friends). The motor boat tours are choppy and rushed. Can’t recommend it enough! 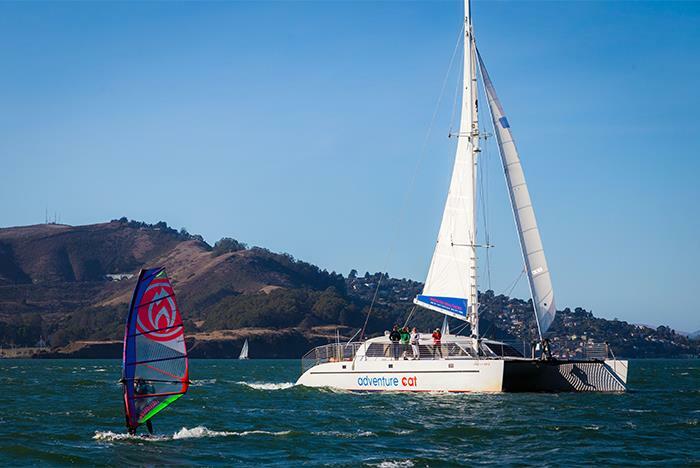 "Great sail around the Bay - amazing value"
I had 90 minutes to spare so I took this sail. The crew was super friendly, and the sailing was fantastic. 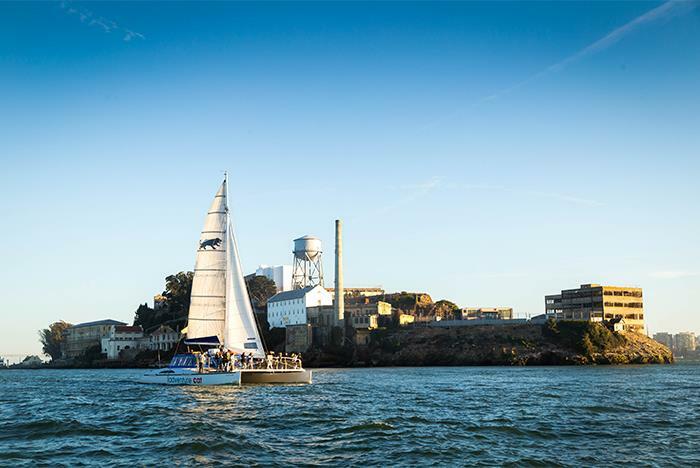 We had great wind, and sailed past Alcatraz and under the Golden Gate bridge. For $45 you can't have this much fun for 90 minutes anywhere. If you’re outside on the trampolines, there is a pretty good chance you’ll get wet. If you don’t want to get wet, you can stay in the cabin. With a 360-degree view, you won’t miss a thing. Probably not. 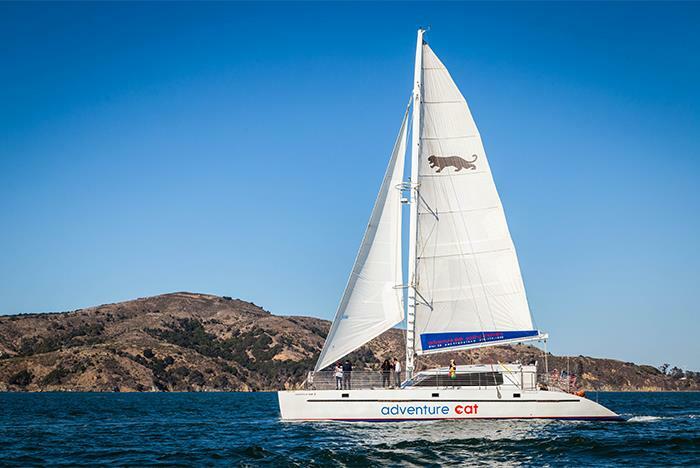 Since the catamaran is so stable most people don’t have any problems. 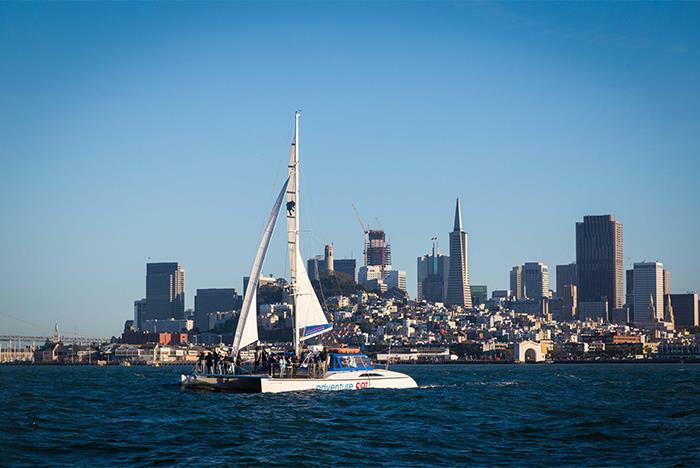 If you are susceptible to seasickness, you may want to get a patch or some seasick pills. What if I forget a jacket and it gets cold? We have some jackets on board that you are welcome to use. Jackets are available on a first come, first served basis. Yes, life jackets for kids and adults are available. 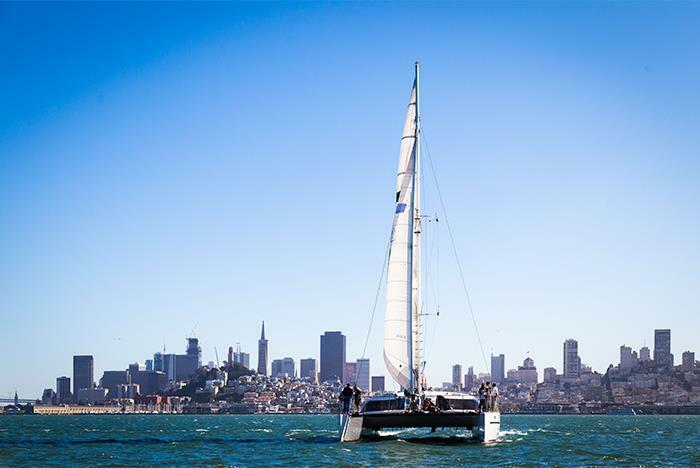 For our daytime sail, we do not serve any food or drink, but you can purchase wine, beer, soft drinks and snacks at our bar for cash or credit. 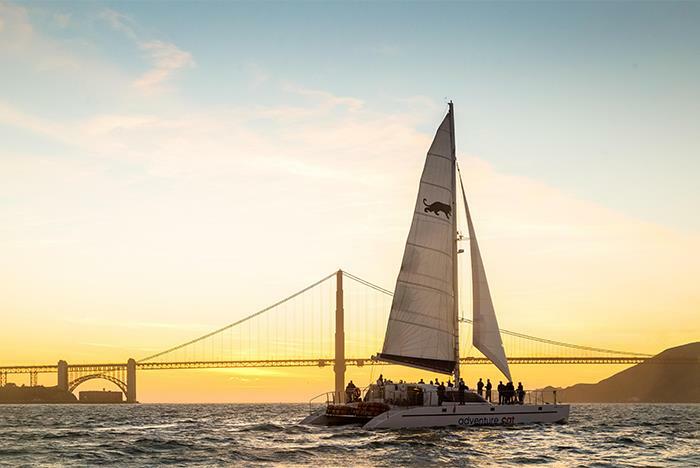 The sunset sail includes lights hors-d'oeuvres and two complimentary drinks and you can always purchase additional drinks or snacks as well. On your scenic sail around the San Francisco Bay, you’ll sail by historic Alcatraz Island, get a unique view as you sail under the Golden Gate Bridge, take plenty of photos of the breathtaking San Francisco city skyline and pass by a colony of sea lions or even spot some whales. Yes, there is a clean bathroom for both boats. 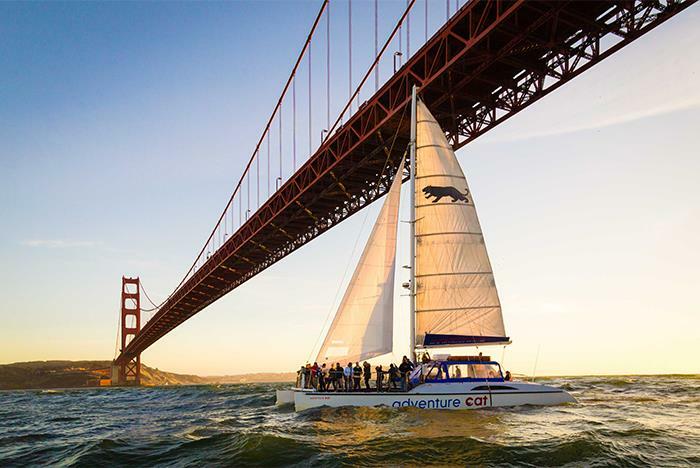 People who go on Adventure Cat 1 or Adventure Cat 2 usually wear jeans, a tee shirt or sweatshirt, tennis shoes, and bring a jacket. If it’s a special occasion, they might get all dressed up.